The lights stay on in my 1996 dodge ram 1500 when the ignition is off and the light switch is off too. There is no key in the ignitiion either. 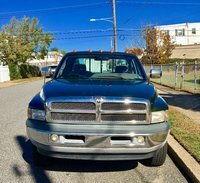 Looking for a Used Ram 1500 in your area? CarGurus has 7,153 nationwide Ram 1500 listings starting at $1,500.